Originally from Brooklyn, New York, Dr. Episcopio attended Stony Brook University for his undergraduate studies. He then attended New York University College of Dentistry where he received a D.D.S. degree. Dr. Episcopio then became a resident at Staten Island University Hospital. He served as Chief Resident in the second year of his general practice residency. 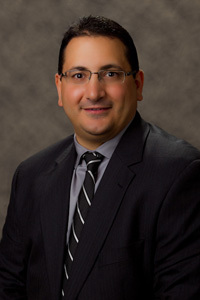 He is a member of the ADA, Orange County Dental Society, The 9th District Dental Society and The Warwick Valley Chamber. Dr. Episcopio continues to update his education by taking courses in all areas of dentistry. He focuses his continuing education on cosmetic dentistry, but has also taken courses in endodontics (root canals), implant dentistry, and the diagnosis, and treatment of snoring and sleep apnea. Dr. Episcopio and his professional dental team looks forward to providing patients with quality care in a comfortable, caring environment.